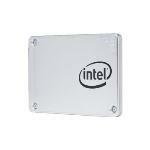 Intel 540s Series SSDSC2KW240H6X1 240GB Expert Reviews - Read Reviews and Buy Smarter Online. Verdict: The time it takes to boot up and load applications is phenomenal. No more staring at the "little spinning circle" waiting to access your files. Money well spent! Verdict: Excellent product, very fast. Was easy to migrate from a smaller SSD drive to this larger m.2 drive once I made sure I had got the BIOS settings for my motherboard correct to boot from the m.2 card! Verdict: There are faster and cheaper SSD's out there, but I buy these for the reliability. Puts life back into 6 year old Dell OptiPlex PC's. I support a fleet of older municipal PC's and these make users very happy. Don't forget to purchase the 3.5 to 2.5 inch adapters. Verdict: Intel ssd's are the best IMO, and this is the latest version.